27 3/4 Circular Style Glass Chain Pendant (Polished Brass Finish). 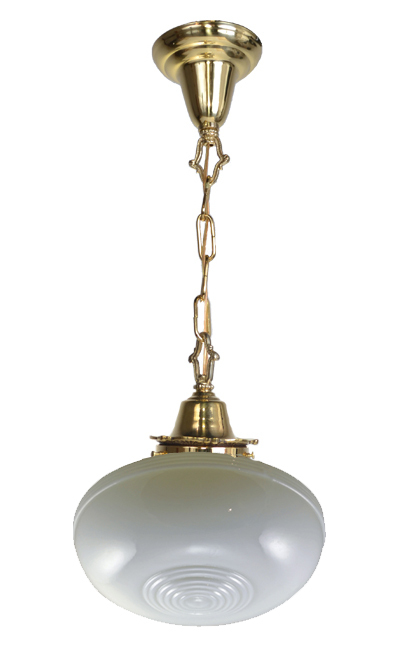 The glass shade is a hand blown American-made satin opal glass shade. The shade is a 4" fitter shade. The drop is adjustable from 21 3/4" to 27 3/4". This fixture comes pre-wired and ready to hang. Takes one standard bulb.